What GANs have been up to. Generative Adversarial Networks (GANs) are one of the newer network architectures to investigative. These networks can be thought of as two seperate networks being trained against one another. The Generator (G) network attempts to create an artificial image from a random probability distribution and the Discriminator (D) network attempts to discern whether or not the image it sees is a forgery. Unlike traditional neural networks that are simply one actor acting on a cost function, we have two actors acting on the following cost function. The Generator and Discriminator are at odds, playing against each other. The Generator tries to minimize while the Discriminator tries to maximize. This idea is very similar to two person games like chess or checkers where the two sides are pitted against each other. Ideally though, both sides should improve as they are pitted against each other until the Generator is so good that it can fool even human discriminators. 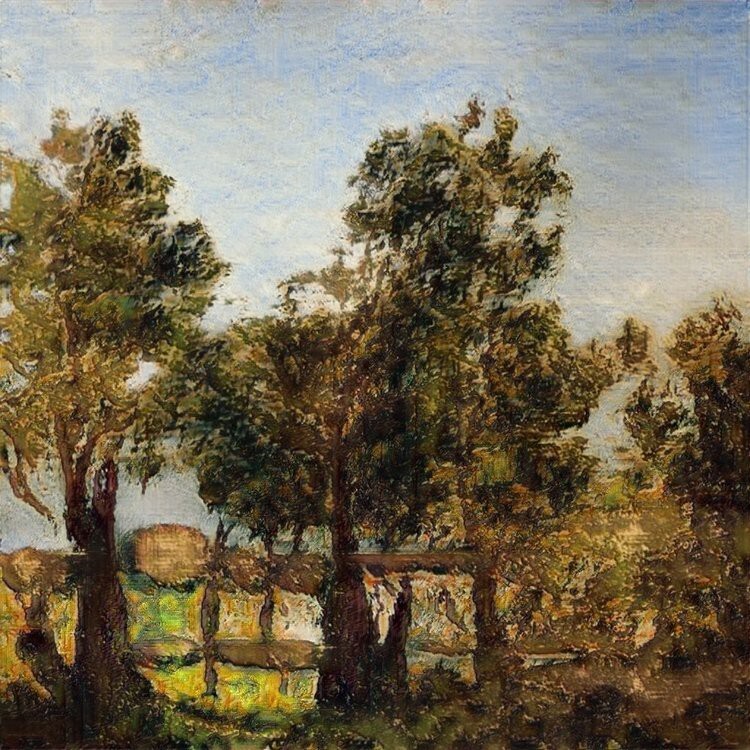 Above is an image that was created by a GAN network and it looks very similar to many impressionist paintings. However, there are still some limitations of artwork generated by GANs, one of which is that the GAN can only produce image files. Essentially these files are only numbers which means that the network only exists in to turn one set of numbers into another, larger set through convolutions. However, is this really art? The process of human art is slightly different from GANs’ artwork. A human has to manipulate the world around them to create an image of their desire. This is different from just doing file manipulations since there is no direct connection between an artist thoughts and the environment around them. 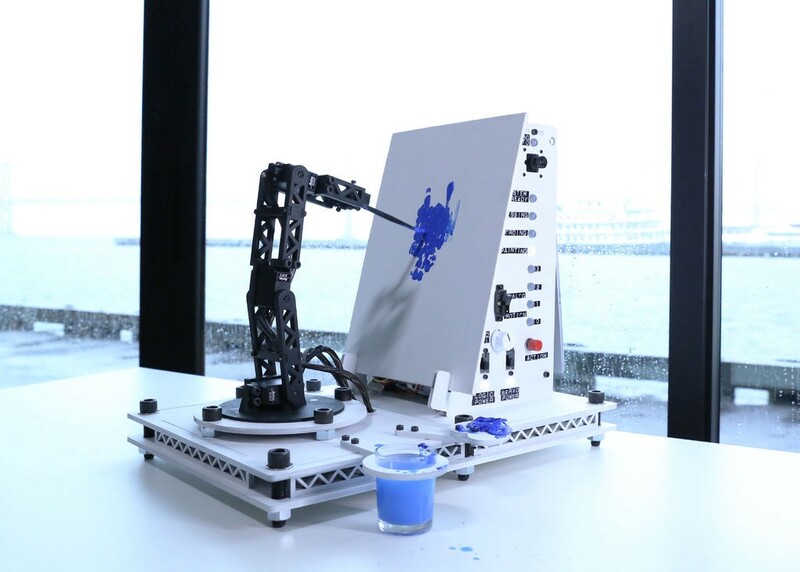 Robots and AI are not quite good enough to paint yet (see picture above) and that is some of the elements that make art. Everyone can envision images that would be artistic but few have the capabilities to manifest them. Perhaps this is really what makes art art. If this is the case, then AI still has quite a long distance to do for them to create art.